I have been buying contacts and glasses online for the past 5 years. I love it, and have convinced many friends and family to also give it a try. They love it too, especially for the reasons listed below. Same brands and equal quality for cheaper prices… this is reason enough for me! The only exception I have found over the years is once when the brand I use had a good rebate offer going on through the doctor’s office. Otherwise, online has always gotten my business when it comes to price comparisons. The initial time investment with buying online is setting up an account. That just takes a few minutes. If you have a copy of your prescription on hand from your last eye exam, your account can be completely set up and ready for your first order. It took less time for me to set up an account online than it did to call and travel to the doctor’s office around their business hours and my work schedule. Once you have bought contacts and glasses online, your next order is simply a click away. You can even set up your account to automatically refill the order when it’s time or to get an email or text reminder. There are a ton of websites where you can buy contacts and glasses online. I will only list the ones that I’ve personally used or a friend has used with a good experience. My advice would be to start with one of the more established sites with a proven record of reliable service and selection. Of those three, my top pick would be webeyecare since I’ve used them the longest and have never had an issue with the quality or service. I believe I switched to them when they were offering a discount and free shipping. Although that’s not the case every time, they will occasionally email special offers in addition to the competitive pricing. I have friends who swear by Zennioptical.com and that’s where I plan to buy my next pair. 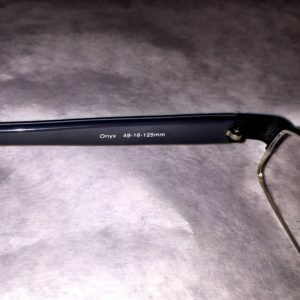 There is always the option to have the company call your eye care provider and verify your prescription but I have found that it’s much simpler to upload it myself. 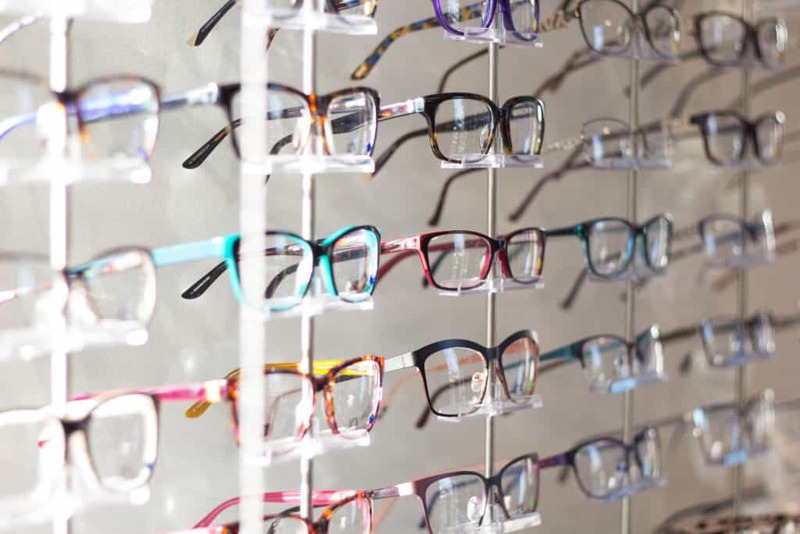 If you think about it, eye care providers are probably not going to go out of their way to help out the online vendors and this could slow down the process. Your optometrist should be able to tell you this information. There’s a lot of information already on your glasses in teeny tiny print on the frames (see mine in the pic below). All of the websites mentioned above will give a detailed explanation of how to get the exact measurements you need and many have a live chat option for customer service. I used these steps to purchase glasses online and they fit perfectly. The savings for this particular pair of glasses was $150 when compared to the price of a similar frame in the doctor’s office. That’s all you need. Once the account is set up and all of the information is on file, just find your brand, choose the quantity, shipment method, and then check everything out when it arrives. Some of these companies will work directly with your insurance. If you’re not sure, use their live chat feature or give them a call to find out how insurance will work with your needs. My eye insurance is a reimbursement plan so I just had to collect the receipts and send them in to my insurance provider and they sent me a check. What about returns or damaged products? I cannot speak to this because I have never had to return any of the contacts or glasses. That’s part of the reason I highly recommend giving the process a try. However, you can find company policies on the websites for what to do if you are not satisfied with an order. As with just about anything you buy online, there are risks and rewards. For me, the process has saved money, saved time, and the rewards have far outweighed the risks. It’s made things simple and ensures that I can see what I’m doing day to day! If you’ve given this a try and have any other advice, feel free to leave a comment!